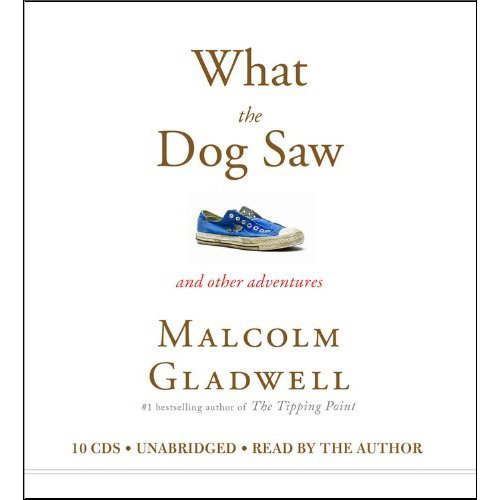 What the Dog Saw is a collection of articles about mass marketing by New Yorker columnist Malcolm Gladwell. Among others, Caldwell includes articles about the pioneers responsible for the mass marketing of the Veg-O-Matic, Heinz ketchup and do-it-yourself women’s hair coloring. There are also interesting articles about the Catholic doctor who tried to market the birth control pill to the Vatican as a “natural” contraceptive and the inherent fallibility of using imaging techniques, such as mammography, to diagnose cancer. The preliminary findings Gladwell presents in 2009 would be confirmed by much larger studies in 2014 (see How Mammograms Don’t Save Lives) and 2016 (Does Cancer Screening Save Lives?). These larger studies don’t support Caldwell’s counter-intuitive conclusion that “mammograms save lives.” In fact they tend to support the opposite conclusion: that except where women are genetically predisposed to breast cancer, mammograms unnecessarily expose women to harmful ionizing radiation. This entry was posted in Things that aren't what they seem and tagged birthcontrol pills, heinz, mammograms, new yorker, vegomatic by stuartbramhall. Bookmark the permalink. Gloria, my mother and I made a pact 20 years ago that we wouldn’t do mammograms – which was even before the studies were published. We just couldn’t see the sense in repeated radiation exposure. There seem to be lots of copies circulating second hard, Lara, since the book is 10 years old.